Mobile computing platform to be included in new MacBooks? Notebook computers with Intel's Santa Rosa platform will start shipping next month, according to Intel's vice president. 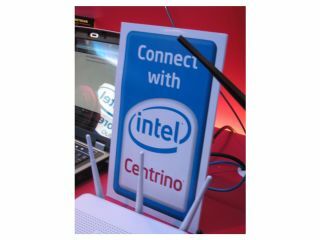 The mobile Santa Rosa platform will feature an Intel Core 2 Duo processor, the mobile Intel 965 Express chipset family, 802.11n Wi-Fi connectivity and optional Intel Turbo memory. The latter is said to improve application performance. The mobile platform will start shipping in May, confirmed David Perlmutter, Intel's general manager for mobility. Intel's Santa Rosa platform also comprises Intel's Robson flash-based caching technology, BusinessWeek reports. The Robson technology may be included in the flash-based MacBooks that Apple is rumoured to be working on. The most recent predictions state that Apple will announce a flash-based MacBook in the 'second half of 2007', according to Reuters .